Pull the door handle as if you were going to open it, then put a rolled up towel in-between the handle and the door to keep it open. Then using the pic below as reference, use a small flathead screwdriver or what ever you have that is able to get into the space to lift the tab up. As you are lifting the tab, pull on the cover to remove it. When you receive the part it comes attached to the mounting plate. See pic below. You are going to have to follow the same procedure to remove it from the mounting plate as you will when you take it off the car. This will give you an understanding of what you need to do on the car to remove it. Maybe I'm just not reading it correctly...but aren't these just covers, so the keyhole is still there and can be easily accessed by just popping off the cover again if your key dies? Yes...that allows thieves to get to the keyhole quickly, but also allows you to get to it if needed as well. My feeling is that there is no way to avoid all thieves tricks, someone else said it that they will jsut bust your window if they really want to get in. I'm just more worried about ME being able to get in if my FOB dies. Last edited by InTgr8r; 07-28-2009 at 08:11 AM. gymcshoe you rock...thank you for my official confirmation. And yes I too think it looks great. And I don't like it as a security device, but just to make it clean. Very nice...mine will be coming soon too! I have been thinking about ordering this for a while and think i share the same concern that one day the battery in the remote is going to die & we are going to be locked out. well, instead of figuring a way to remove the part...why not just tape a spare remote battery to the back of your license plate? the batteries are flat enough that a small strip of duct tape should cover it up. can anyone think of why this would be a bad idea? it is easy too take off, if your battery ever goes dead. also looks a lot cleaner. OK I can confirm this Also, that this New cover, Will cover the Factory Key hole! So I am going to Reinstall my Locking Mechanism, and just put the cover over it! But I wonder How hard it would be to tae off that Cover to access the Key hole in case the Car Battery Dies?? I tried a little to see if I could pop off the cover while it was on the car, and I seen the cover move, but guess you half to get the right angle to pop it off, and not damage your door in the Process! Since it's a very tight squeeze in there, and you need a very small screwdriver to slide in there, and I was afraid to pry any harder, LOL. HAs anyone tried to pop it off while on the car?? yes that would be a good Idea, but the Remote will not help you out if the main Car Battery Dead! Thats the scary part! 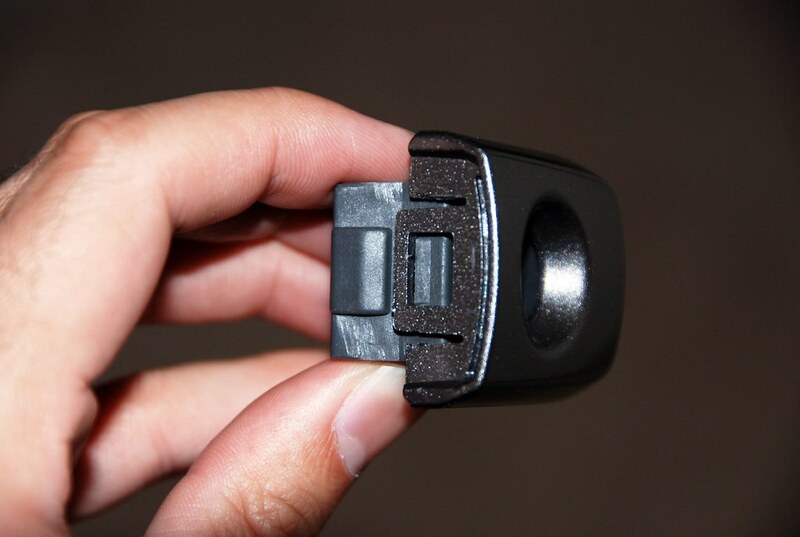 If you can't access the Key Hole, and your car Batt Is dead, a Good strong Remote batt will not Open the Car, LOL. But that a good back-up plan to have for a Spare Remote Batt! I may think about doing that! how about duct taping a little flathead screw driver behind the license plate so you can use it to remove the cover in case the car battery dies? I suppose your car battery is most likely to die when the car has been parked at your house for a while. I would probably just drill out the cover to access the keyhole, and destroy the cover. I could always buy a new one, and I wouldn't risk scratching the paint on the door trying to pop off the cover. Hopefully the issue just wouldn't come up. No worries about scratching paint...its really easy to pop this cover off...literally takes a flathead screwdriver and 10 seconds. If it's not too much trouble, can you (or someone thats done this) take a snapshot of where to insert the screwdriver for removal using the right size screw driver? The pics of the part by themselves wasn't too obvious. I'm sure it would make sense after I bought the part, but I just wanted to see before going though the hassle. These pics you found are actually perfect. 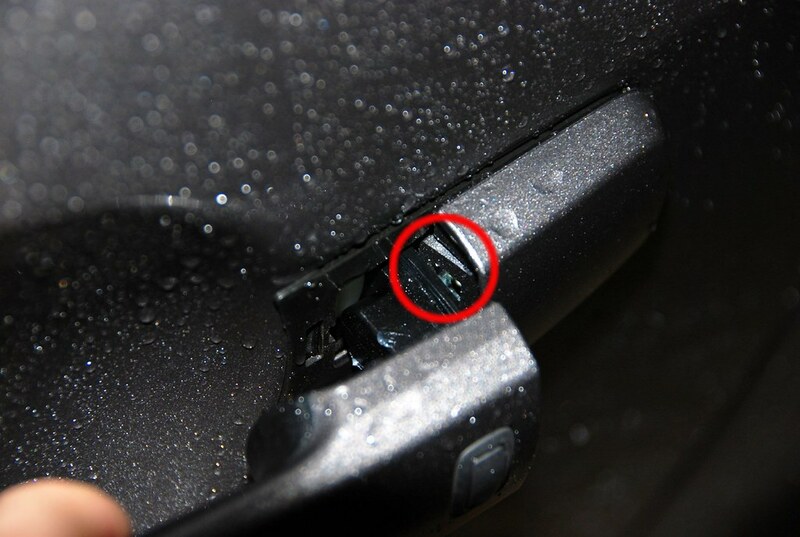 On the first pic, you instert right where the red circle is to lift up the small tab that's holding the cover on. I used a slightly smaller than standard screwdriver. Smaller the better I think as mine was probably a tad too big. Definitely don't need glasses screwdriver though. Just a typical small flathead screwdriver. The 2nd pic is actually the lock plus the cover so you can get a better idea of what that little clip looks like. I hope this helps. I went to take pics, but these are seriously as perfect as you can get. yes it can pop rite off and you can access your key hole! This is available for the 07-08 G Sedan, 03-07 Coupe, G37 AND M35 / M45!